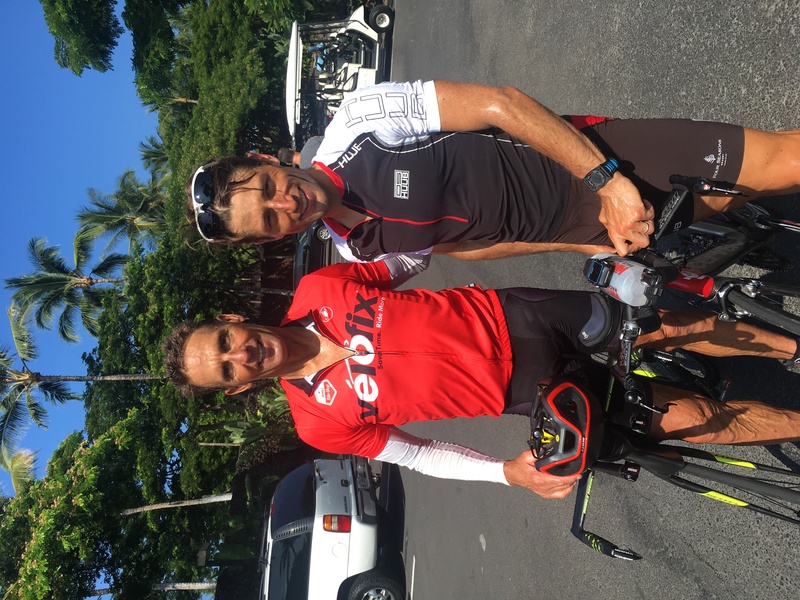 After spending some time training on the Big Island in the summer and learning from the greatest, Dave Scott, at his camp, I had a good grasp on the conditions, course, logistics, and awesomness of the place. Having done most of the sightseeing previously, and knowing where to get pretty anything from diapers (for the baby …) to body boarding spots (for the older kiddos) to the best dolphin+turtle spotting bays (for the wife), I was quite confident I could enjoy the atmosphere of the event without stressing out to much about shopping, visits, and other to-do list items. No hesitation, breakfast at Lava Java, because well this is it ! After getting settled, direction CostCo to get one week of groceries at a decent price. Especially fruit and veggies cases, cantaloupe, good meat and even some excellent poke ! 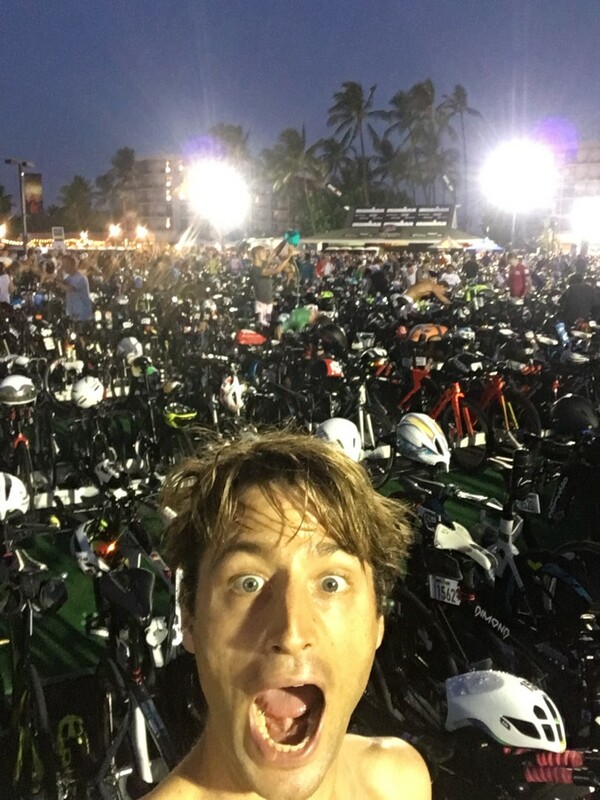 6.30am – Early bike ride 60km, the occasion to see that 1./ first 10 miles on the Queen K are very bad due to lots of debris (read: lost of flats) and totally unsafe riding (read: road works + limited bike lanes + far too many riders). 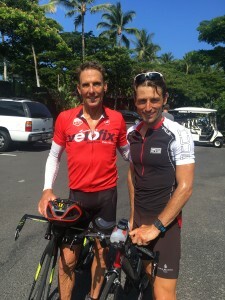 Lots of people crash before the race actually (even some pros), so Inhighly recommend not riding from town, but taking a car to ride after Waikola. Worth it. After some pool time (it is Hawaii after all) surrounded by triathletes chilling while I was “dive bombing” with the kiddos, we hit some sponsor booths, got our fix of Acai Bowl at that place near the Beachcomber (recommended despite wait and weird service sometimes). 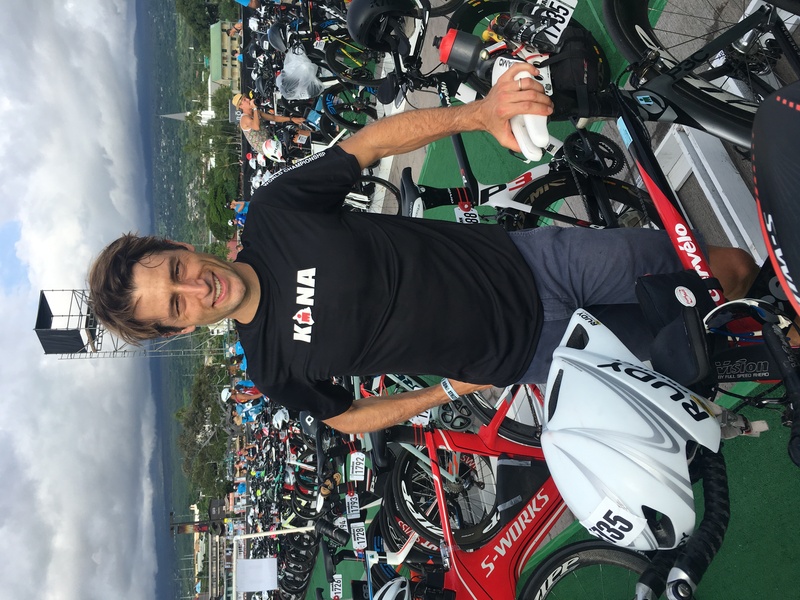 I decided to drop my bike at Kona Bike Works to be on the safe side (extra $120 was nothing compared to all race & travel expenses … and a screw getting unscrewed after the transport on the boat could mean trouble and DNf during race day …). So many bikes. 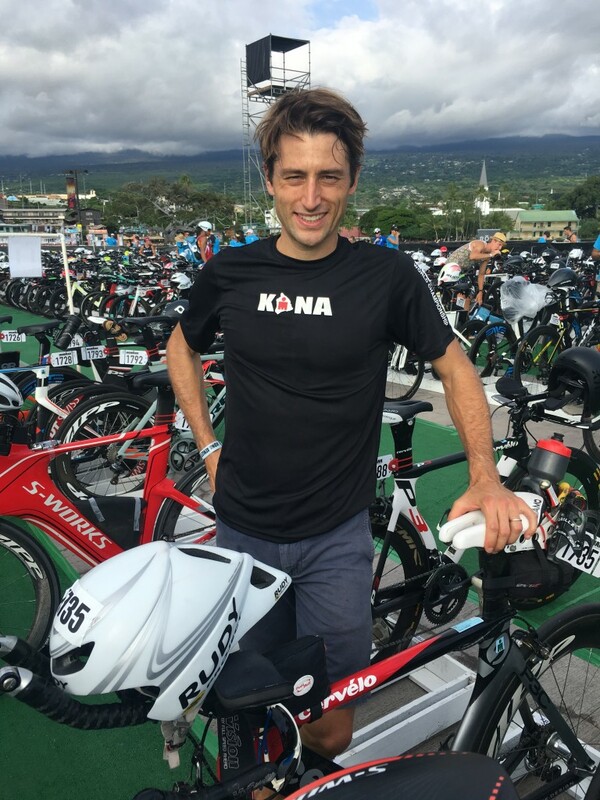 Kona Bike Works is actually flying in mechanics from all islands and Australia for this event !!! 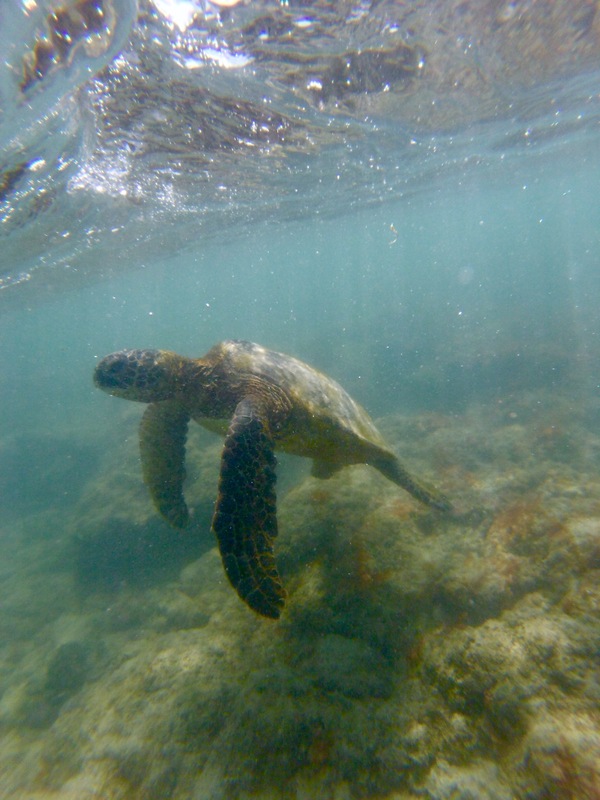 Leaving early, we head out to Two-step, the best snorkeling on the island in my opinion. 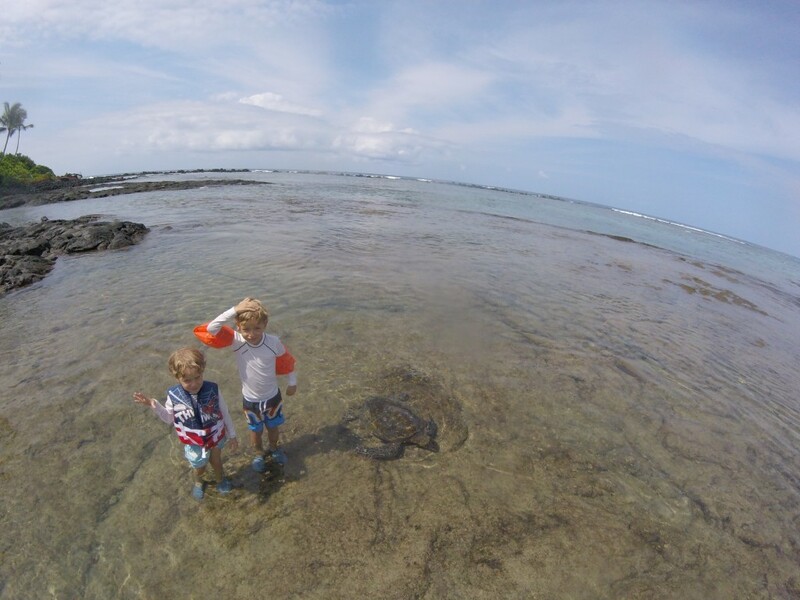 We took turn trying to spot dolphins and taking care of the baby, and they came … got lucky to even see a baby at the exact same spot I saw one last time I was on the Big Island ! Incredible. At 5.30pm we decided to attend the first Ironman event - Heroes of Hawaii – at King K hotel, on their Lu’au grounds. I didn’t know what to expect, but surprisingly, it was great, with Hawaiian cultural artisans and live entertainment that the kids enjoyed. Food was free and quite good, and you could catch a glimpse of the legends of the race : Dave Scott and Mark Allen, Julie Moss, Fuhr, McCartney, they were there. We even saw the unveiling of IMU, a traditional way of cooking pork on leaves. 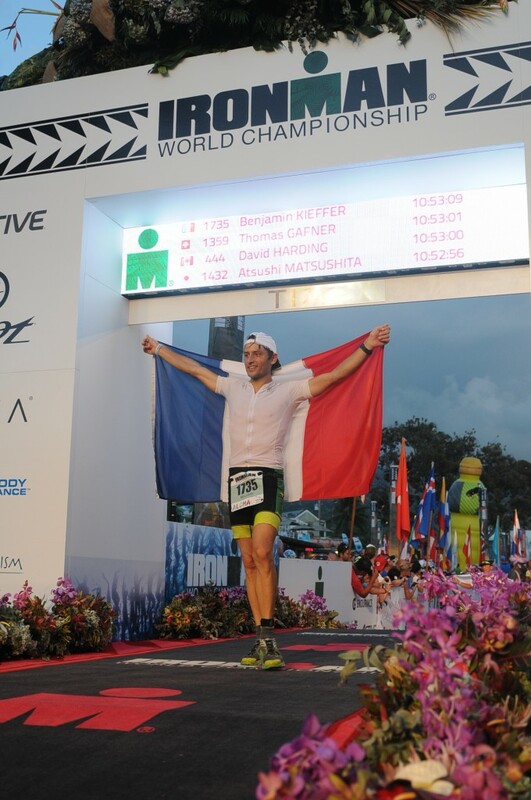 People are always criticizing WTC but this was a free, wel organized event, that I actually found much better than the crowded pre-race banquet later in the week. 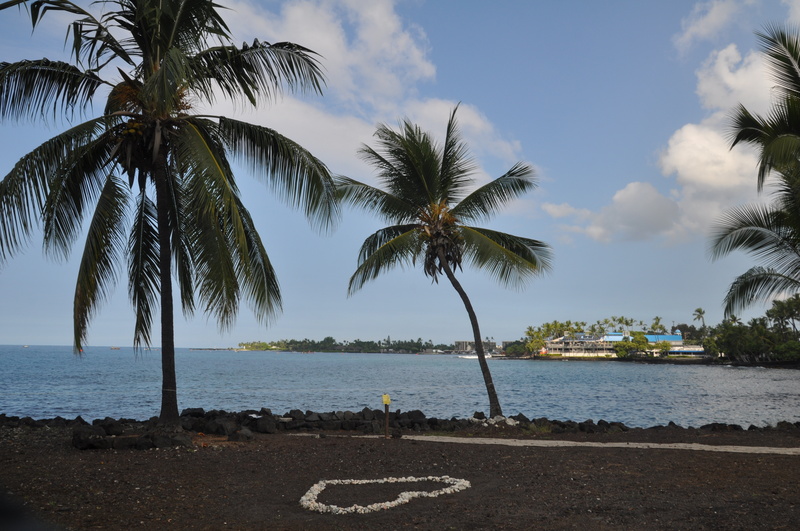 Kona pier. Short swim to the catamaran that offers coffee in the middle of the bay. 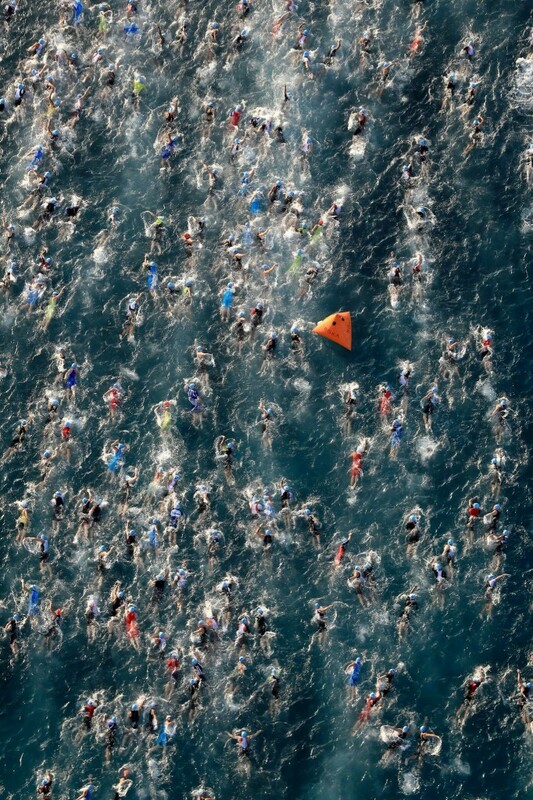 Hundreds and hundreds of athletes swimming faster than me. Spotless organization with secure bag drop by Gatorade, swim caps, etc. Exactly like you can see it on TV. This is definitely it ! 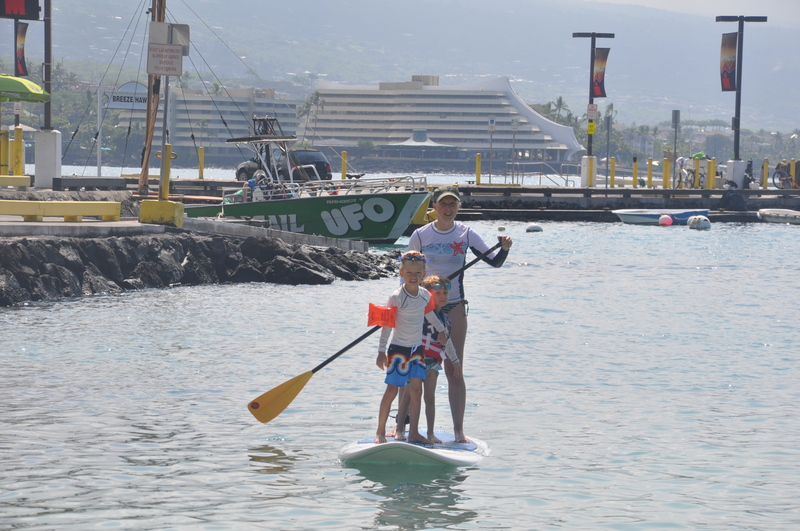 After the swim, I head back home, and then I drop my wife and older kids for some standup paddling at the King K hotel (rented from Kona boys right on the beach near the pier), while I went to register and get my number. In the line for registration, right before me was Julie Moss ! Anyway everything was perfectly organized, although it is quite clear they make it impossible to sell your race bib – security is super tight. 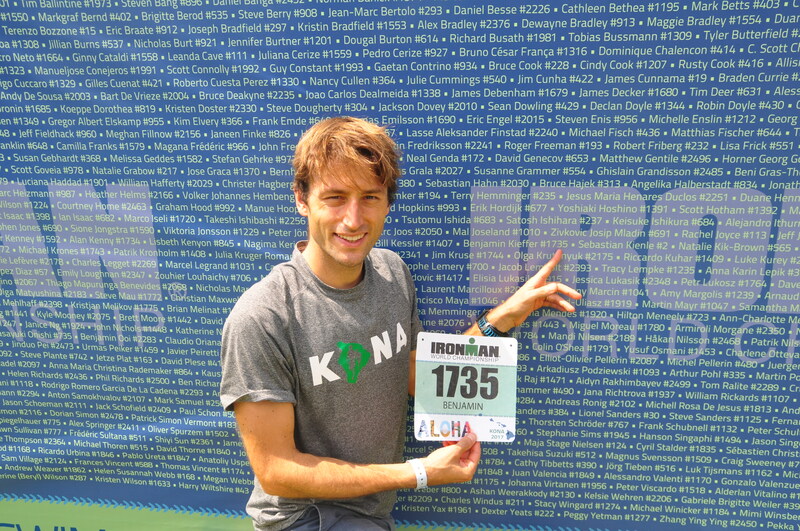 Got the “famous” bike number that is a super memory to keep – instead of a standard crappy sticker … some goodies, a Kona backpack (of course) … and then time to hit the Expo and buy some Ironman Kona branded gear. They had some pretty cool stuff and we definitely overspent … but honestly lots of cool stuff. 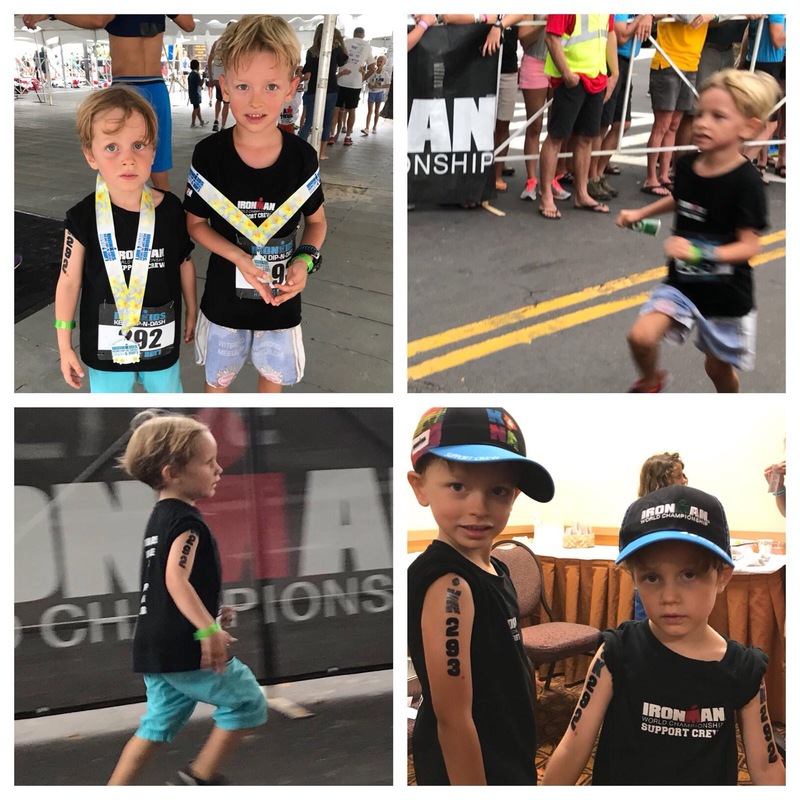 At 4pm we got Timothee and Arthur to race the IRONKIDS® Keiki Dip-n-Dash – Super well run with race bibs, tatoo numbers, finisher arch … and some super young kids were really fast !!! Last 75mn bike ride. I decide to head south of Kona instead of the Queen K. which is far too busy and dangerous so close to the race. I add a 2km run afterwards, as everyone seems to be running all the time on Alii Drive! 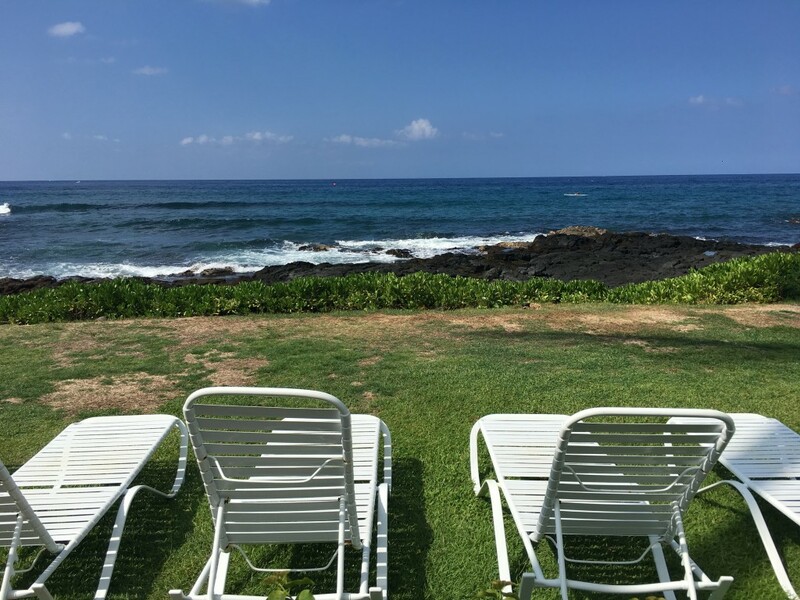 The rest of the Wednesday was a slow day for us where we just made the most of the pool, spent a couple hours at Green Sands Beach bodyboarding with the kids – huge waves! – checked out the expo, got some promo samples (that Hot Shot energy drink burns !!!). The expo was pretty cool, however I hope to be able to order or at least try a Canyon bike – only Ventum was super active in promoting their bikes in “test drives”. 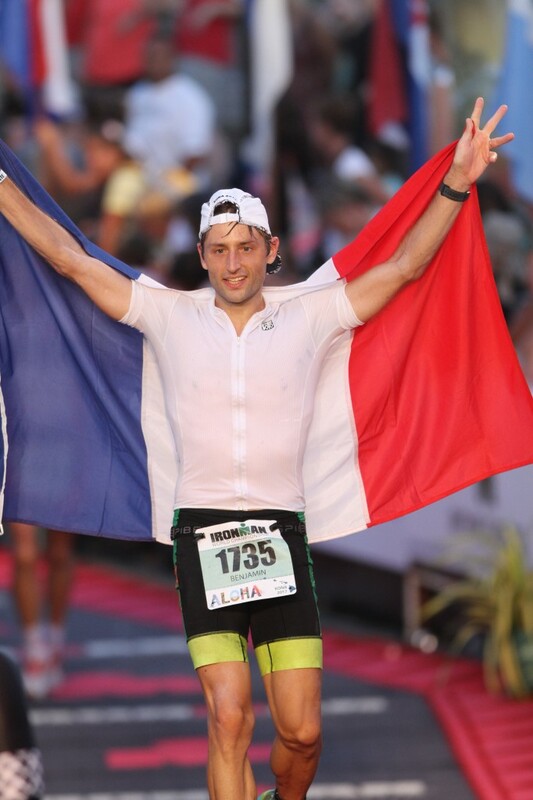 Another Ironman event that evening at the King K hotel where I managed to talk a little bit with Mark Allen – guy is very funny actually and his speech was pretty good. Dave Scott was there also and what struck me is how approachable these legends are, but also how most people are not looking for advice but just a selfie. 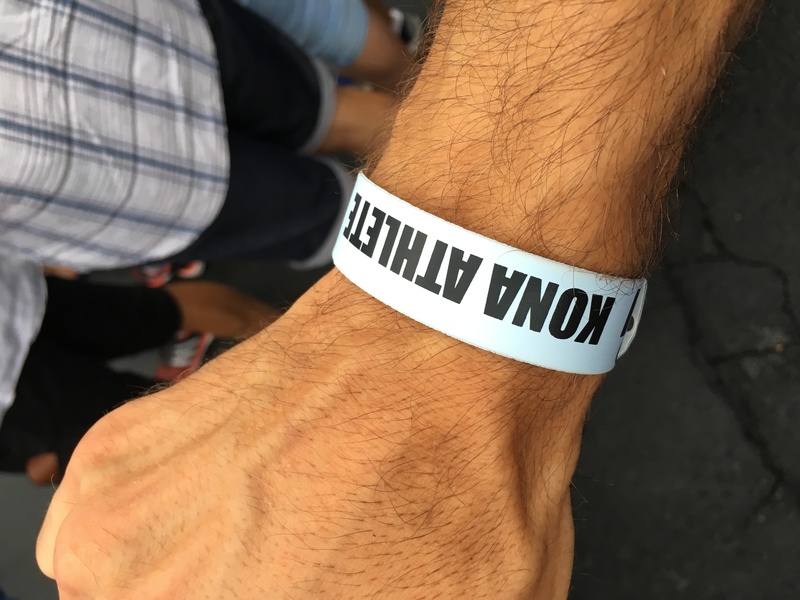 Anyway good event and then I checked out the TrainingPeaks Kona Party @ Daylight Mind Coffee Company. Day before the race. Thirty minute bike followed by 2km run. I feel better. The taper is always tough, I typically fee sluggish until the very last day. But I’d rather rest too much. 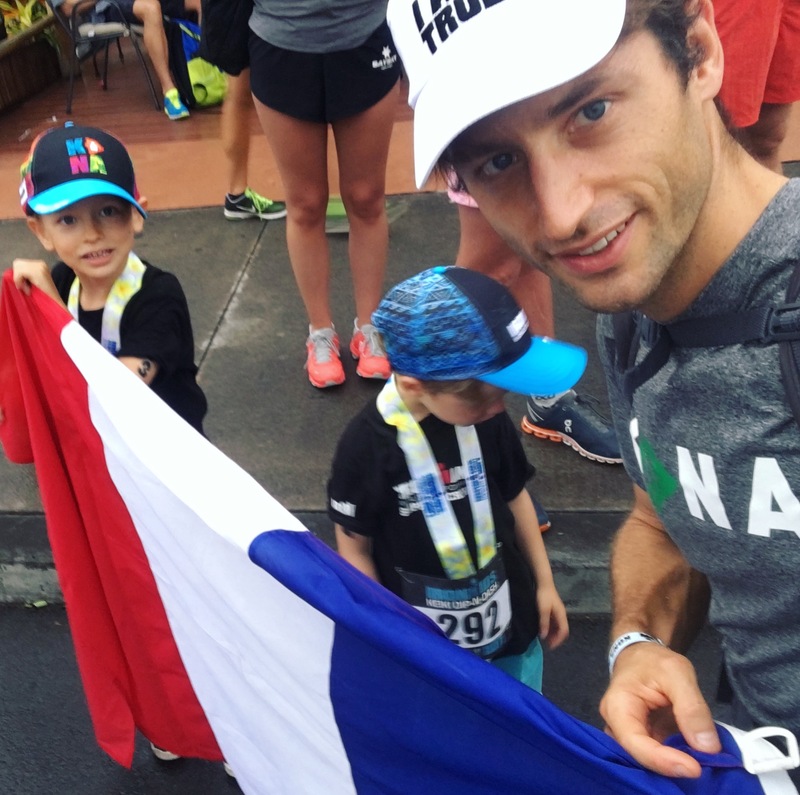 Made the mistake of being exhausted on race day too many time over the last couple of years, with training, work and kids. Here I want to race conservatively but enjoy it 100%. No walking. No exploding at the end of the bike. 2pm. 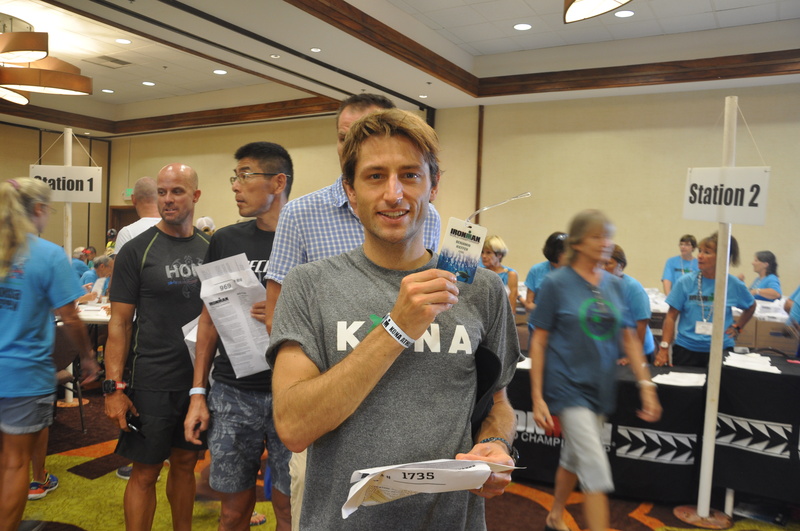 The KONA count at Bike checkin. Famous moment where you check your gear and tens of sales rep from all the sports companies in the world write down what you use. Cervelo is still #1, and I thought I would see more Canyons. 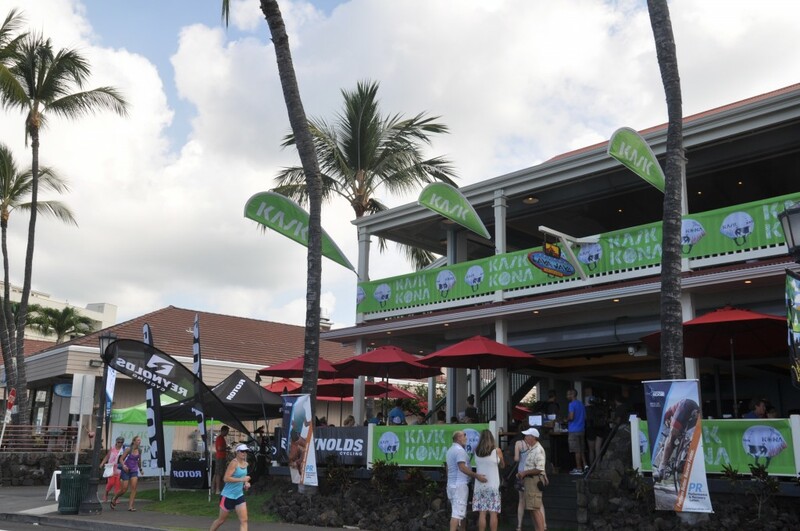 Hoka is the most popular shoe brand this year. Insane for this upstart company – and it is what I use as well ! Alarm is set for 4.30am. Quick breakfast consisting of two coconut waffles and two kind bars, I approach this race (from a nutrition standpoint) with a “less is better” approach. Eat when hungry, drink when thirsty, don’t go crazy on carbs. Preserve your stomach. Most athletes walk to the start, where bodymarking tents are set. 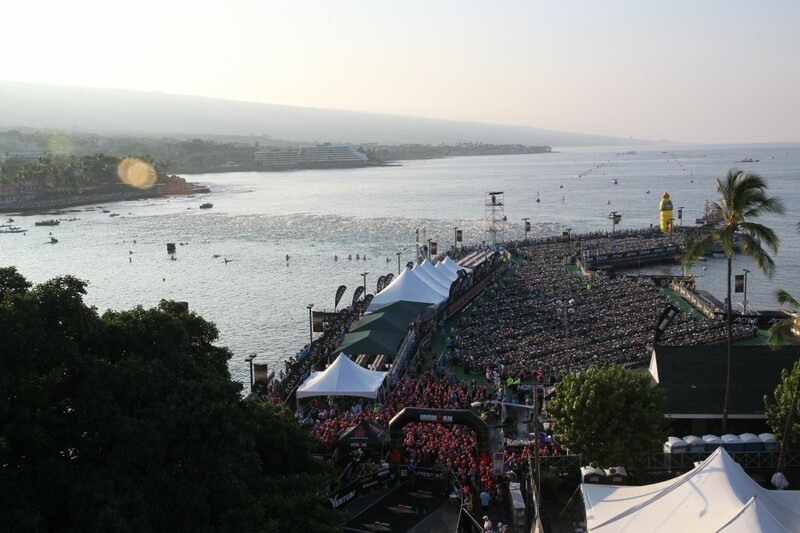 Transition opens at 4.45am for a 7.05 start (pros start at around 6.30am). 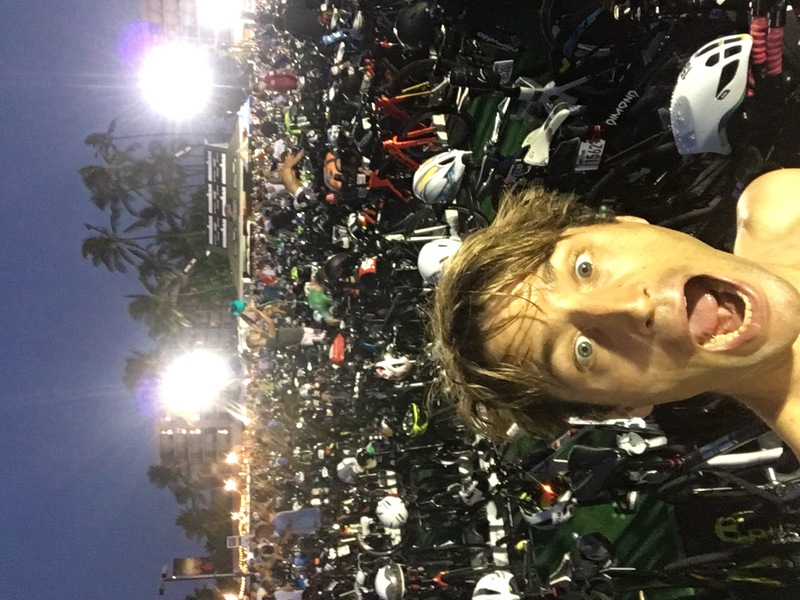 It’s dark, full moon above us, and my brain compares the electric atmosphere with the pictures from TV recaps of previous races. Actually the real thing is less intimidating ! 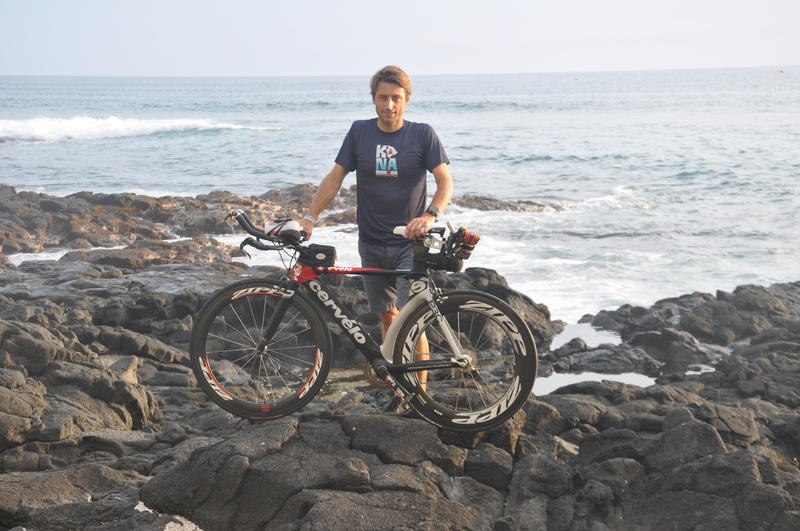 Once nutrition is set on bike, we can warm up at the small beach of the King K hotel, before descending the famous stairs onto Dig Me Beach once the pros have left. Anyway – into transiton I try to set my watch in bike mode when I notice it’s gone ! The watch-to-bike quick release must have released it after a kick from another swimmer or something. 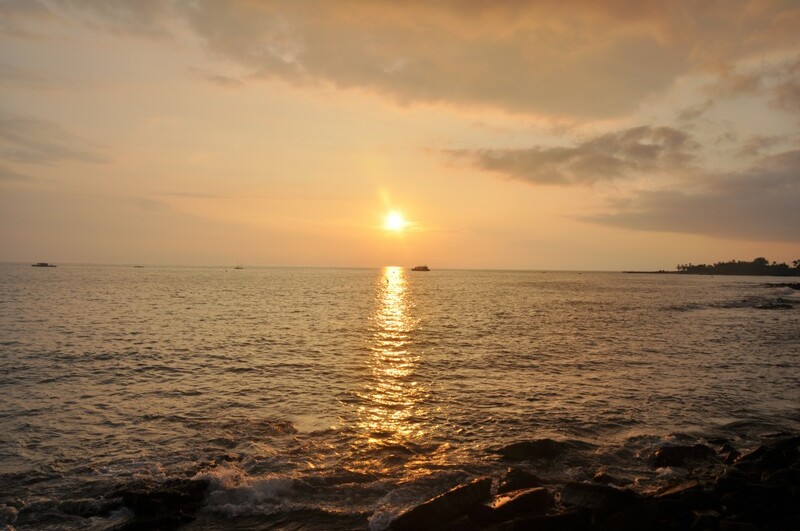 Somewhere in the pacific ocean ! As my garmin is also my bike computer, it means I will have no speed / pace indication for the whole race. Very bad news. I waste a couple of minutes in the transition tent talking to volunteers about finding a spare,to no avail. No choice but to move on. I realize that aftermy slow swim and slow transition I am surrounded by women athletes who have started 10mn after me! 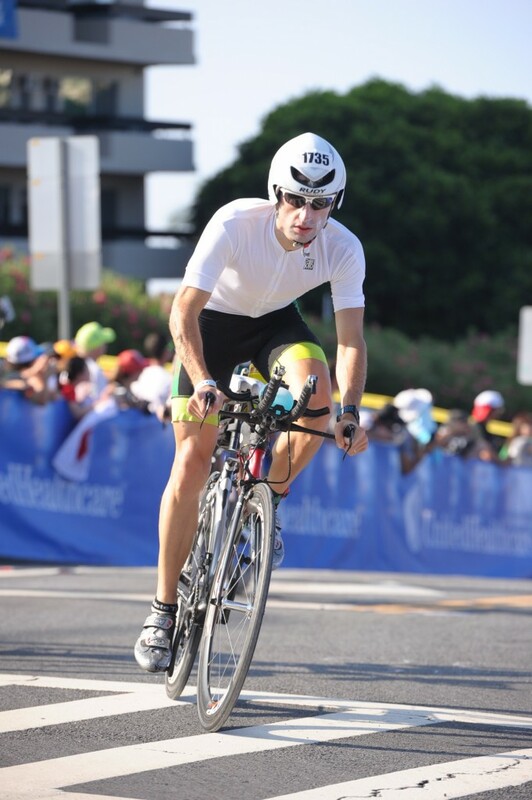 On to the bike …careful around the hot corner and the short climb Palani Road, where crashes tend to happen in the excitement of the early miles. 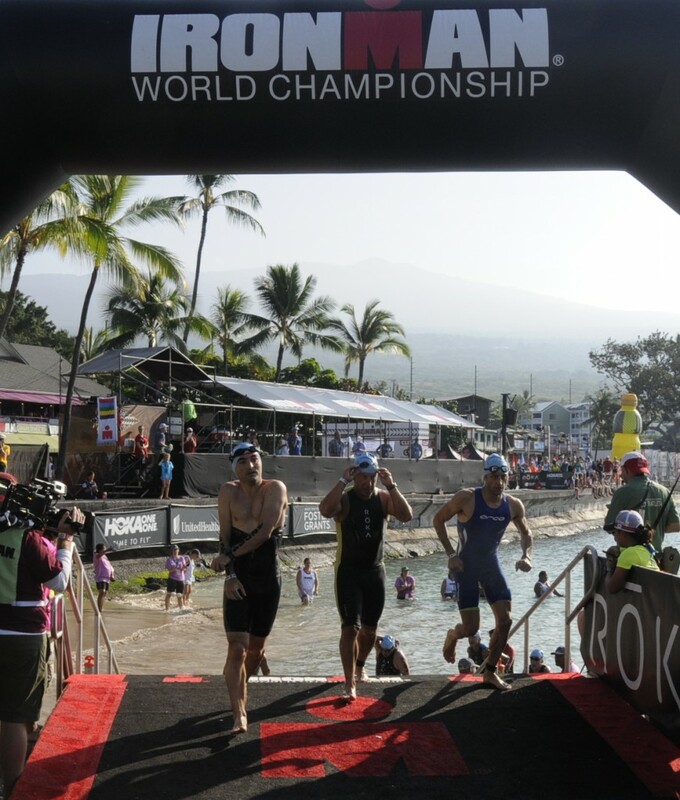 The small loop in Kona is an opportunity for me to talk to my wife and ask her to find any kind of watch for the run. 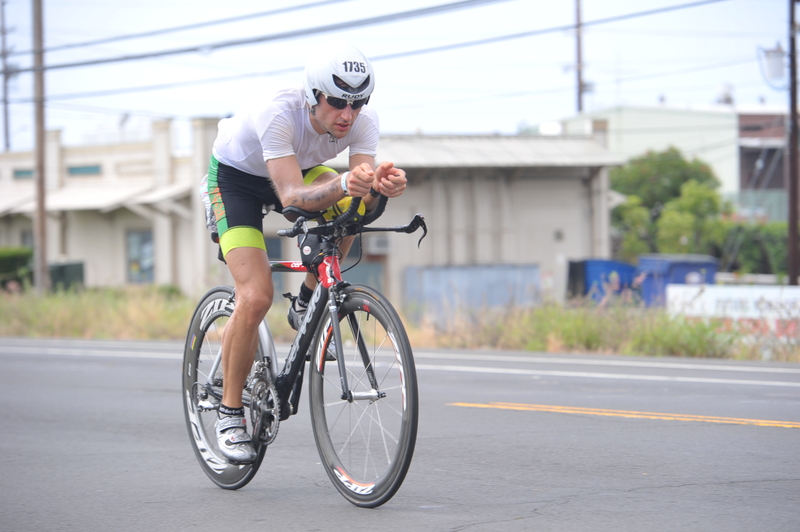 I struggle to put this unfortunate event behind me and only once on the Queen K highway do I start to refocus on my race. We exit town, I know the course well, I take it easy but seem to hold an honorable pace vs the field. Winds are starting to blow, but it could be worse, and I start to think about my nutrition: one strompwafel per hour starting” hour zero” (target is 7), and I also start with 3 bottles of Myoplex. 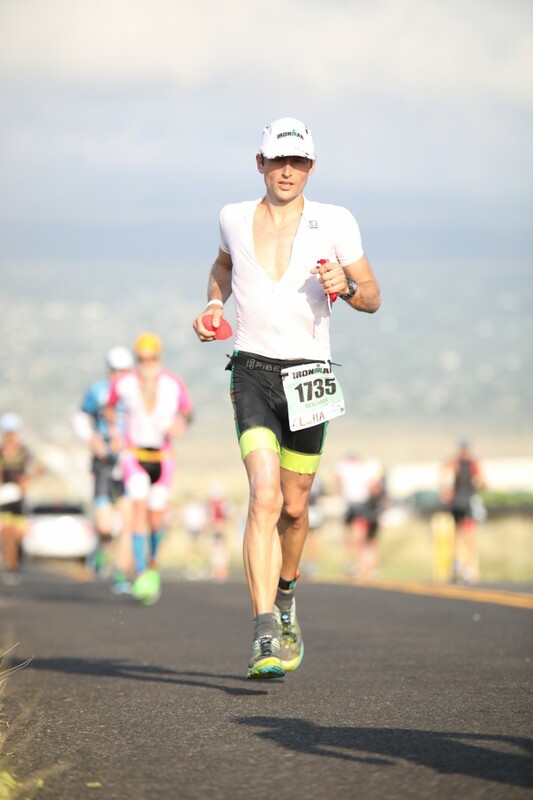 I enjoy racing on the Queen K, the sun starts to warm us up for real, but it is a unique course in the middle of the lava fields you need to handle patiently. As we get closer to the Mauna Kea hotel and the famous left turn toward Kawaihae, it starts to be hot and windy, but I navigate well as I have ridden this section a bunch of times in the summer. After the turn, I get a good speed on the downhill as I perfectly dialed maneuvering this section in training, good! And now the climb to Hawi. I hope for some light rain at the top to cool us off (it feels good to dream a little bit !) 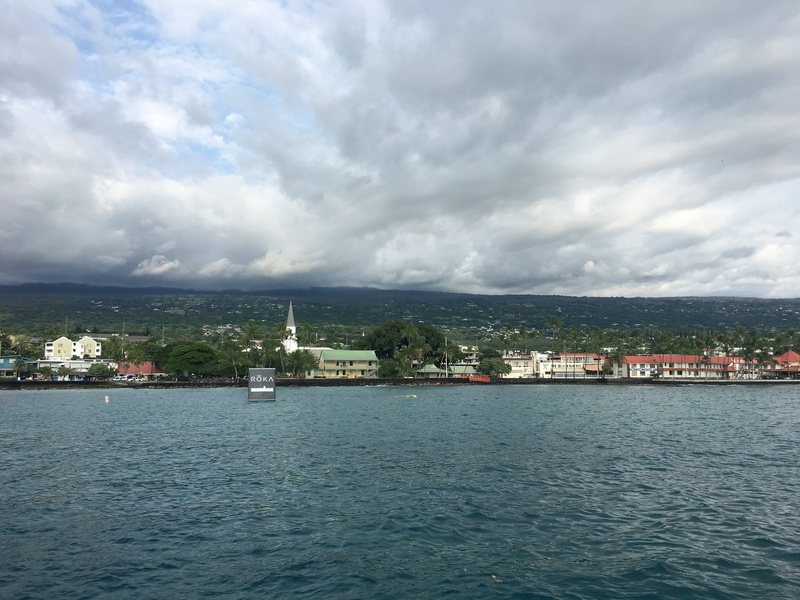 but it is just the harsh wind and the long climb… last part from the first houses in Hawi to the turn-around seems always long, however it feels great to hit the crowds near main favorite Hawi coffee shop and start the downhill. My bike handling skills on the aerobars in the wind benefit a lot from my training rides. 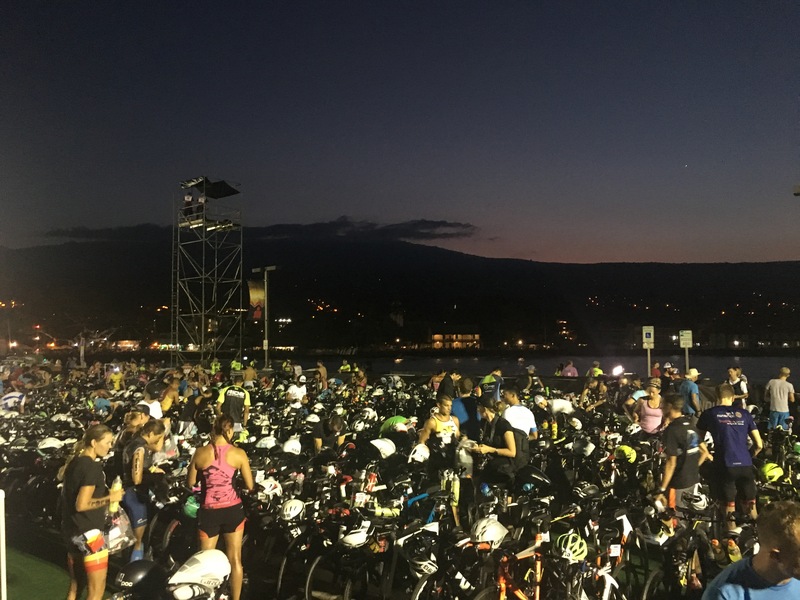 But once back in Kawaihae, the oppressive heat during the short climb that brings us back to the Queen K highway takes a toll on lots of athletes, I push through and hope for light winds on the way back … which of course is never the case ! This is where the race gets tougher and I switch my nutrition to coke (I love it when there are coke bottles on the bike!) and push through the wind. 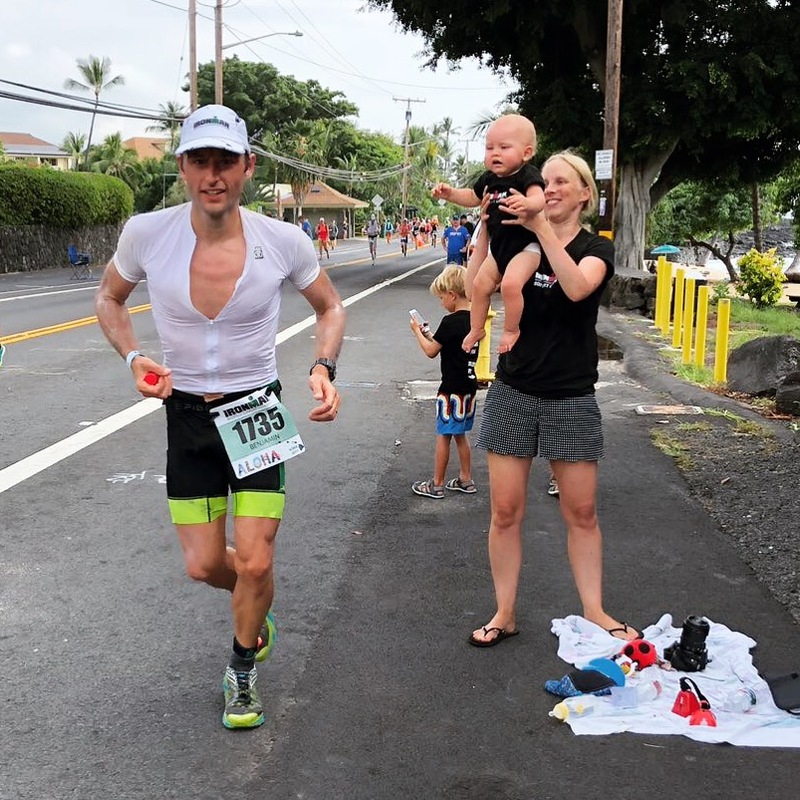 I actually seem to make back some places as most athletes are fading against the wind, and having no idea of my pace, I am very happy to reach Kona, see the crowds, and make the last turn into transition, where atmosphere is electric. Bike time 5hr 36mn, not too bad. 5hr30mn was the goal. I see the main clock, which tells me that to go below 11 hours, I need to run a lit bit below 4 hours in the marathon. Transition is smooth, I again try to find a watch or something at the volunteer’s desk but to no avail, put my HOKA run shoes on, and here we go. And yes it is hot ! 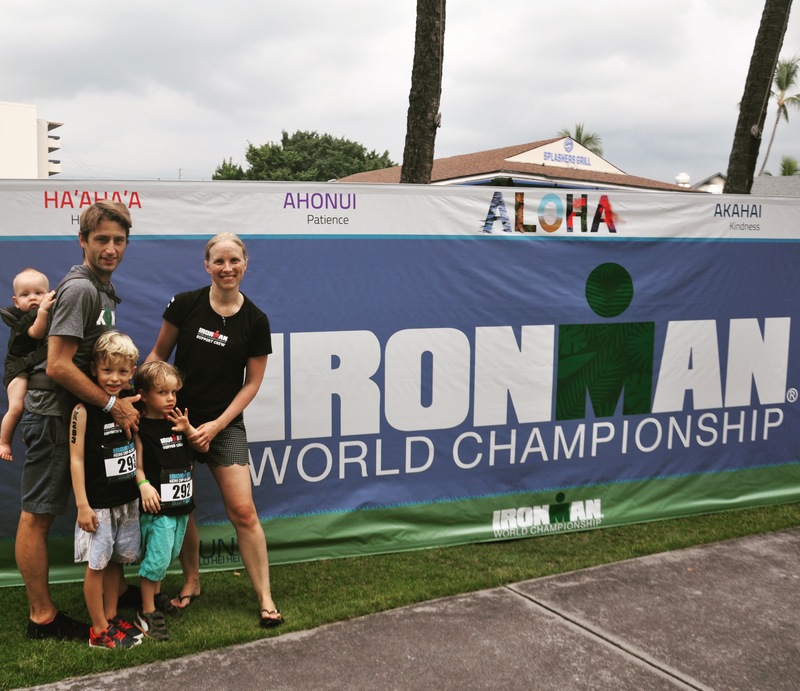 I quickly hit Alii Drive where the atmosphere is impossible to describe, and see my wife and kids in front of our condo. My wife found a regular stop watch and I can start pacing my self using mile markers “old school”. 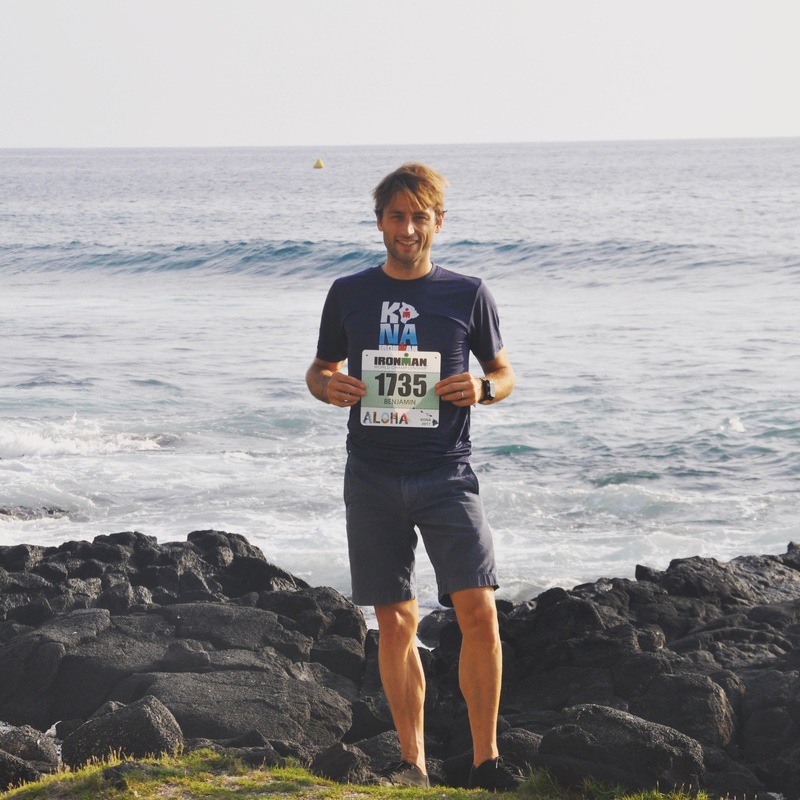 I calibrate my pace on a 3.45 marathon, with the plan of slowing down as little as possible. My nutrition strategy is simple: Coke only + one cup RedBull in the Energy Lab. 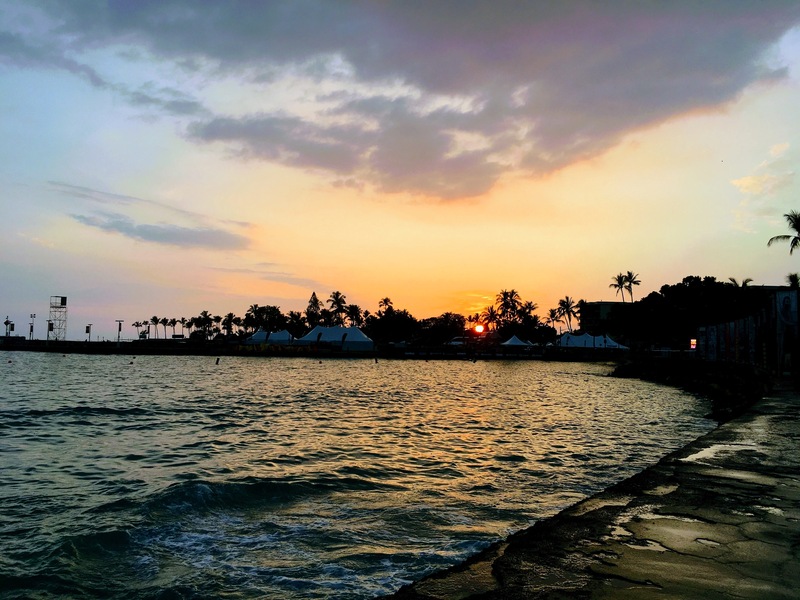 I hit the 10 mile mark on pace (8.30mn / mile), but now i benefit from the Alii Drive mojo as well as the relatively cooler air along the sea. 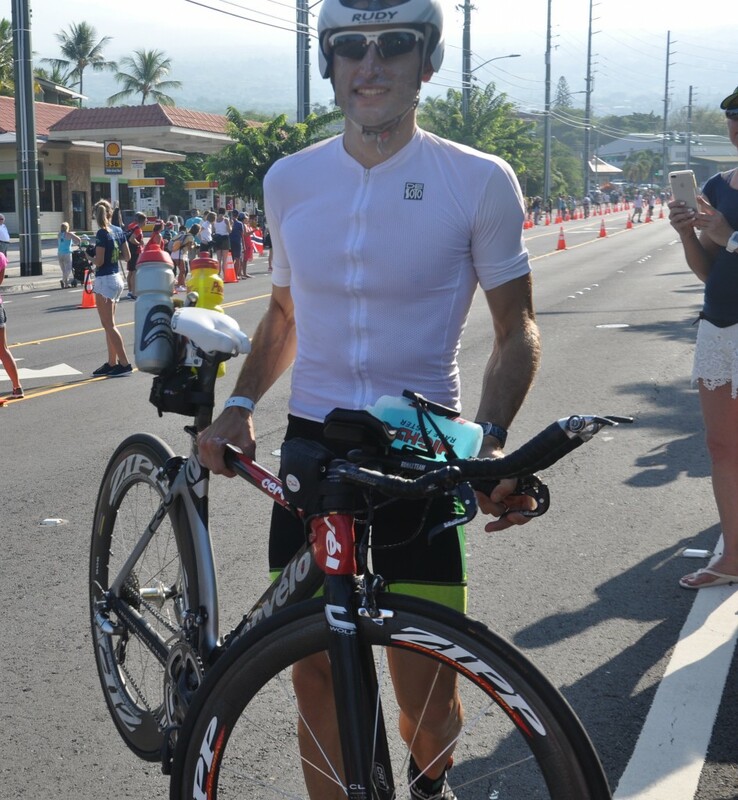 The climb on Palani Drive is not as bad as I feared (although athletes are really slowing down) and I get a chance to see the future winner, Daniel Ryf, before hitting the Queen K highway. Well, what a difference it makes … no spectators, even hotter, a little desolate … only athletes to cheer other athletes, and the aid stations where I dumb an incredible amount of ice in my top and cap to keep cool. A key to thee race. 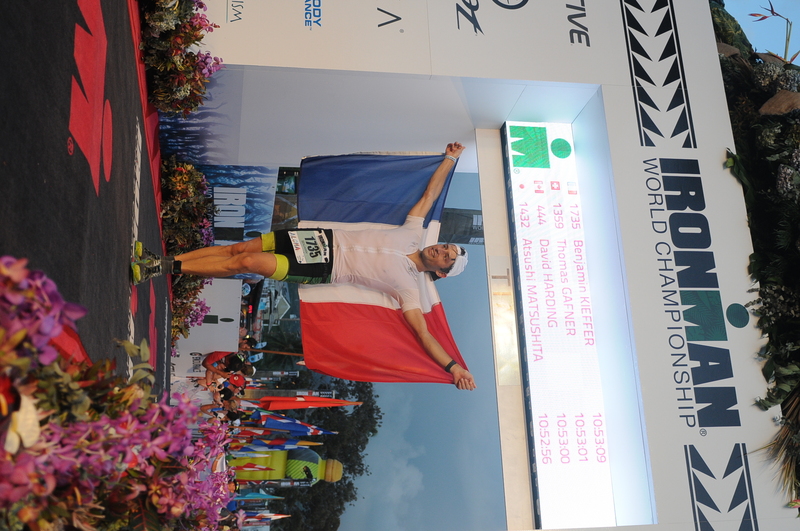 It is tough, but I really want to race below 11 hours badly so I fight hard. 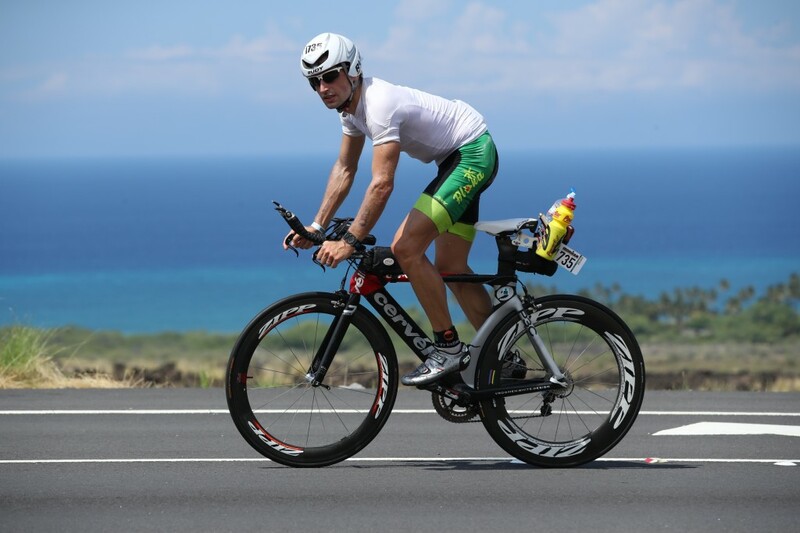 I see Jan Frodeno the 2016 winner in bad shape heading back into town, and make my way to the entrance of the Energy Lab. This iconic section of the race is feared … but also signals that the end is near. The huge sponges they give out are a relief as temperature dramatically climbs here, and to be honest most athletes (we are the slow ones !) are slowing down even further. I try not to, and pass lots of runners. 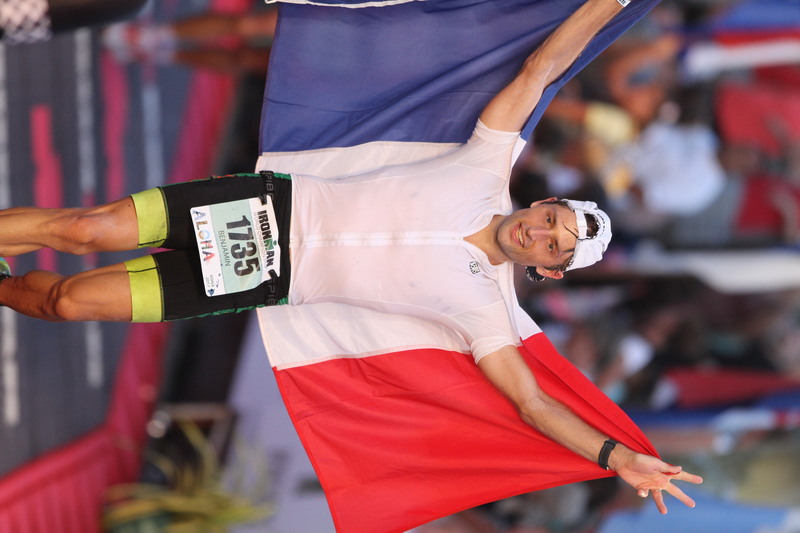 I get my Red Bull in, and turn around, and mentally focus on reaching the finish line. 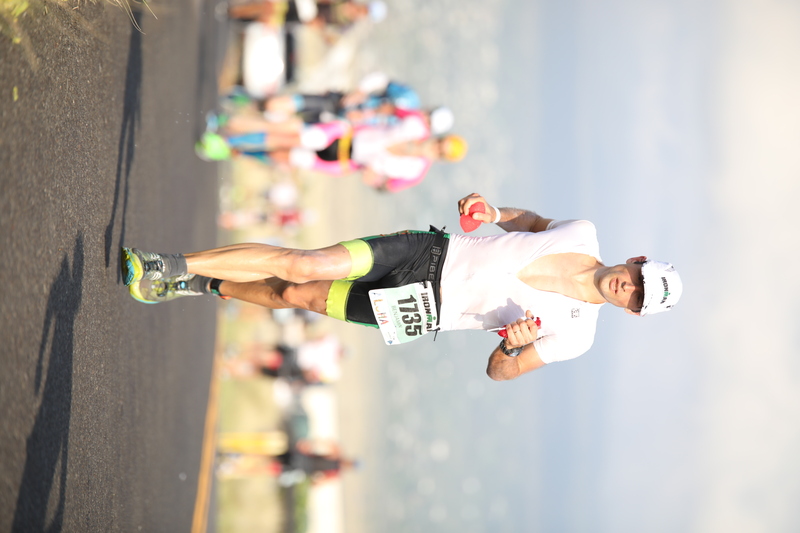 Back on the Queen K, a 9mn per mile pace (5.35mn per km) seems so fast … and some aid stations are running out of ice water. Notwithstanding this, I feel I have enough lead on my target goal to be confident I can get there, but at the same time I am forcing myself to “save” precious seconds at each mile marker. 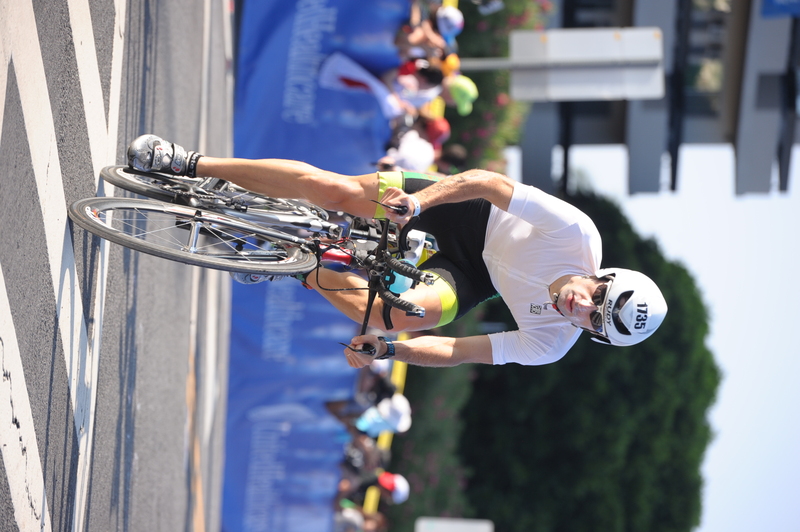 The rest of the marathon on the Queen K is a blur, until we reach the turn toward Palani, running fast downhill, before making the famous right turn onto Alii Drive where I see my wife and kids … feels so good … the Banyan Tree, the spectators, the finish line, everything goes the fast but seems so incredible … this is it, 10hr 53mn of racing, in KONA.